Thanks to Neil Crossland for supplying this photo. 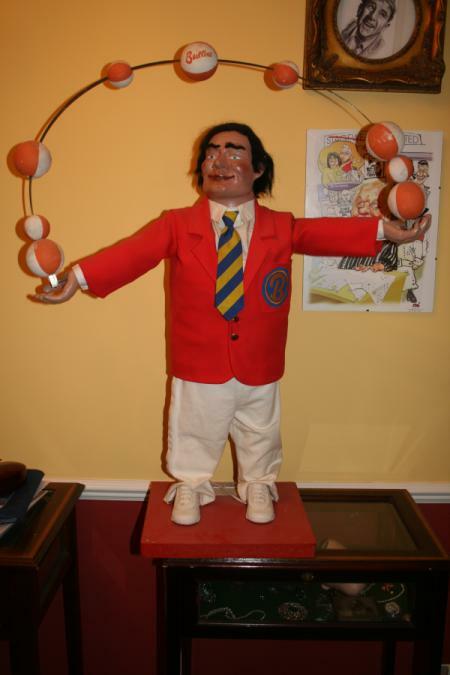 Neil told us that this is a Butlins Juggling Advertising Doll in full Butlins uniform, which stands around 2ft tall and is in full working order. Neil believes that it came from the early years in Skegness. The doll was given to Neil by one of the Butlins Managers possibly 30 years or more ago, when they sold off a lot of the camps, and in all that time he has have never come across another like it.